1984 Miami Vice airs on TV | What happened in…. 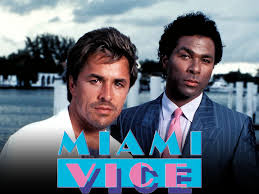 This entry was posted in 1984 and tagged American television crime drama, Miami, Miami Vice, Michael Mann, NBC, Philip Michael Thomas, television series by Mike Hermes. Bookmark the permalink.